I have a Raspberry Pi Zero W setup as a Bluetooth LE peripheral based on BlueZ 5.50 and Node.JS. I'm running this on Raspbian Stretch Lite with a build date of November 13, 2018. I upgraded BlueZ from 5.43 to 5.50 following these steps. My blePeripheral class works well for me, I'm able to securely bind to my iPhone and exchange encrypted data with the Raspberry Pi Zero W. as expected. If I restart bluetootd after a reboot with the sudo systemctl restart bluetooth command, this all goes away. The address will be resolved correctly next time my iPad connects. 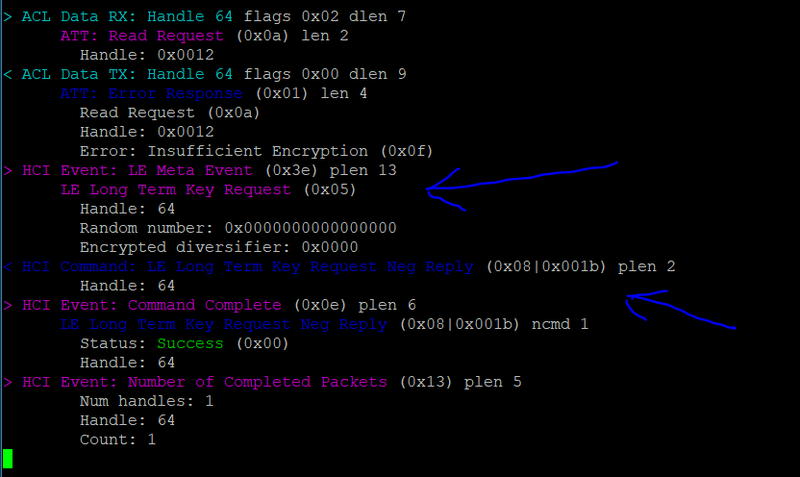 In the following screenshot of the log from sudo btmon you can see my iPad's random address 4B:0E:5C:79:3A:BE gets correctly resolved to its public address of B4:F6:1C:53:EF:B3 in the "MGMT Event: Device Connected" event. Not sure why there are always two exact MGMT Event: Device Connected log entires?? I don't think this problem has anything to do with my node app. I'm thinking it has something to do with BlueZ and the Raspberry Pi. Looking for pointers on where to focus my troubleshooting efforts! Actually all input is welcome take a look at my BlueZ upgrade process maybe I missed something there. Why do I see two exact MGMT Events is this normal? This one has me stuck!! Nice work. I know zilch about BT and especially BT LE, but this makes me think of systemd. I would look at the various units and see if there is a possibility they start in the wrong order (or without configuration). I haven't changed the order of the boot process that I know of. If there is something I can check you have in mind let me know. 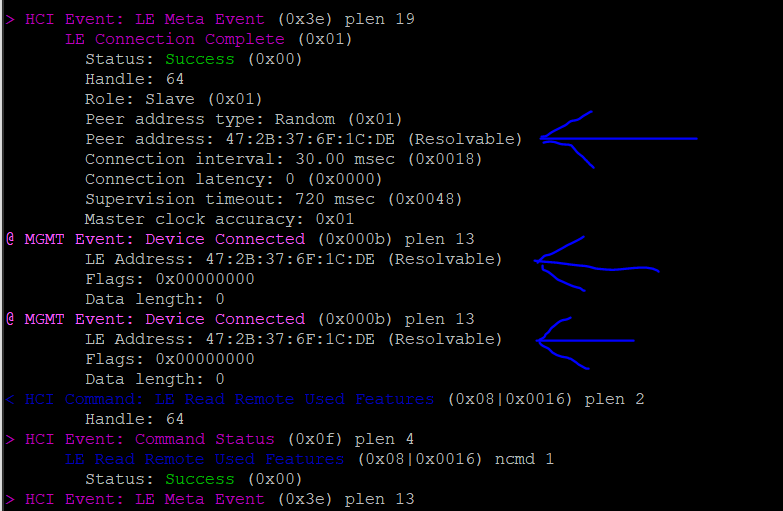 I have tried several settings in /etc/bluetooth/main.conf (BlueZ config file) and I'm pretty sure it is being read and the settings are okay. As for the auto startup process here is my /lib/systemd/system/bluetooth.service file. Note: I have made changes to the ExecStart line by adding the --noplugin option. Just as an FYI this issue still takes place if I remove my changes. I have had a little more time to work on this. I think the boot order of the Bluetooth.service does have something to do with the problem. I set my node apps .service [unit] to want and be after the bluetooth.service. This didn’t make a difference in the load order of the boot process. I don’t know why?? But when I set my .service file to want and be after network.target a lot of things seemed to change in regards to the boot order. My apps now wait for bluetooth to load. But I have seen this error when I didn’t have any of my node.js apps set to auto start on reboot. 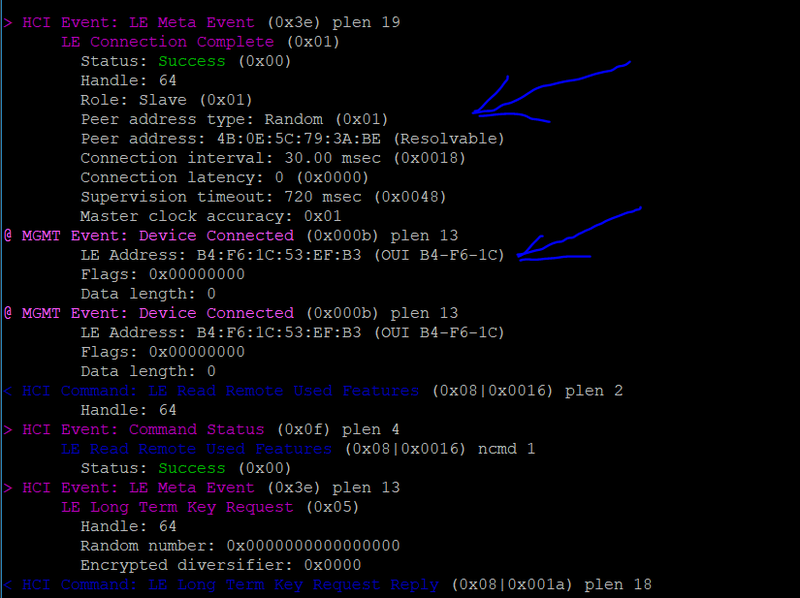 Below is a screen shot of the bluetooth.service loading according to the systemd-analyze plot command. What is frustrating is the boot order of the services change even If I don’t make a single change to the system. I just feel like there is a dependency that the bluetooth.service needs and is not waiting for it. But I can’t find it?? Just came across this issue on the github site for the RPI-Distro. It sounds very similar to my problem.